Ann Louise Bardach may be world famous as an investigative reporter, but in Santa Barbara County sheâ€™s emerged as a high-octane political pot-stirrer, far more inclined to use vinegar than honey to catch the proverbial flies. 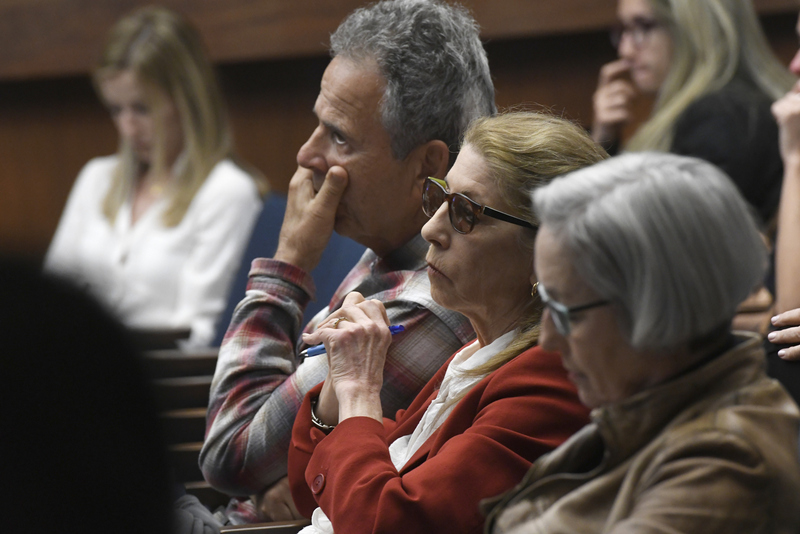 In recent months, Bardach teamed up with anti-cannabis crusaders in the Carpinteria Valley; this Tuesday, she served notice on the Board of Supervisors that the disparate pockets of discontent over Santa Barbaraâ€™s booming cannabis industry have joined forces to create a new countywide organization, the Santa Barbara Coalition for Responsible Cannabis, with activists from all five of the countyâ€™s supervisorial districts. While Bardachâ€™s rhetorical broadsides cause opponentsâ€‰â€‹â€”â€‰â€‹and even some supportersâ€‰â€‹â€”â€‰â€‹to wince, her involvement clearly has impact. Two months ago, Bardach actively sought to recruit Santa Barbara School Board President Laura Capps to challenge 1st District Supervisor Das Williams in his reelection bid a year from now, so outraged was Bardach by Williamsâ€™s energetic support for the cannabis industry. Williams was counseled by close advisors to meet with Bardach. He did so, but she remains decidedly unmollified. Capps, for the record, has indicated absolutely no interest in challenging Williams, a fellow Democrat and incumbent. The new anti-cannabis coalitionâ€‰â€‹â€”â€‰â€‹for which Bardach functions as the keynote speakerâ€‰â€‹â€”â€‰â€‹has adopted a broader, countywide attack to change Santa Barbaraâ€™s cannabis ordinance to restrict cultivation on parcels zoned for large-scale agriculture. The key issue is odor. At issue this Tuesday were a handful of significant but relatively minor changes to the countyâ€™s requirements for applicants seeking cannabis business licenses. What county agency would have responsibility to review the energy plans of cannabis applications? How would the retail dispensary permits the supervisors authorized be distributed throughout the five supervisorial districts? And what role would the County Sheriffâ€™s Office play in screening prospective employees for prospective cannabis operations for criminal backgrounds? As usual, however, the topic of cannabis proved to be a greased pig around which the supervisors could not easily wrap their arms. Coalition speakers would not be hemmed in or confined by the topics specified on the meeting agenda. Wine growers complained about the olfactory violence inflicted by cannabis terpenesâ€‰â€‹â€”â€‰â€‹in full harvest riotâ€‰â€‹â€”â€‰â€‹on their customersâ€™ tasting-room experiences. The head of the vintners association talked wistfully about reaching out to the new cannabis industry to achieve some cultural accord while at the same time telling stories of unnamed cannabis operators using strong-arm tactics to pressure unnamed grape growers to sell their land. One Carpinteria resident derided the odor-suppression technology used by some growers as ineffective, likening it to an inconsiderate neighbor who tosses a balloon of Lysol after having first chucked a load of dog droppings. â€œDoes that make it better?â€ he demanded. The speakers demanded new zoning changes to restrict the spread of cannabis cultivation, to require greater setbacks, and mostly to offset the impact of the ripe aromas caused by cannabis. Cannabis growers showed up as well, arguing that the supervisors needed to give the existing ordinance a year to prove itselfâ€‰â€‹â€”â€‰â€‹or notâ€‰â€‹â€”â€‰â€‹before considering any changes. The cost of compliance thus far, they argued, had been exorbitantly expensive. Good operators, they argued, should not be punished for the transgressions of the bad apples. More regulation, they warned, would result in higher operating costs, which in turn would chase more operators into the black market, which the supervisors were told accounted for 80 percent of all cannabis grown as it was. Cannabis critics charged that many growers have engaged in wholesale fraud and perjury when signing affidavits to secure certificates of â€œlegal nonconformanceâ€ early in the process, and they demanded action. Such certificates were necessary for many of the countyâ€™s cannabis applicantsâ€‰â€‹â€”â€‰â€‹about 2,200 licenses have been applied for in Santa Barbara County, the highest in the stateâ€‰â€‹â€”â€‰â€‹to get their foot in the door in the stateâ€™s long and convoluted process of legalization. Those affidavits claim the applicant in question was cultivating cannabis under the stateâ€™s now defunct medicinal cannabis laws before January 2016. County officials lacked the resources to check such affidavits for accuracy at the time. The most common allegation against most of the cannabis operations since targeted for enforcement action by the county cannabis compliance officers is perjuryâ€‰â€‹â€”â€‰â€‹lying on legal nonconformance affidavits. The other common charge is cultivating more cannabis than the affidavits indicated were grown. The supervisorsâ€‰â€‹â€”â€‰â€‹even the most pro-cannabis onesâ€‰â€‹â€”â€‰â€‹have conceded some operators lied. They pushed County Counsel Michael Ghizzoni to craft new language making it easier to deny permits to any applicant who willfully lies on such applications. Ironically, Supervisor Peter Adamâ€‰â€‹â€”â€‰â€‹who would express the most full-throated concern of any supervisor about odor problems caused by the new industryâ€‰â€‹â€”â€‰â€‹was the only supervisor to express misgivings. One personâ€™s lie, he noted, is another personâ€™s difference of opinion or misperception. With Adamâ€™s change of heart, there are two votes on the board for a stricter regulatory regime; Supervisor Joan Hartmann, whose district encompasses Santa Ynez wine country, has experienced a change of heart as well and has pushed in recent months for greater restrictions than the board majority supports. The fight is shifting ground for the time being to the County Planning Commission, which will explore possible zoning and land-use modifications this week. Supervisor Lavagnino argued that cannabis had been banned before in Santa Barbara, but that it was grown throughout the county nonetheless. Since cannabis has been legalized, he said, revenues generated by its cultivation and taxation have paid for 23 full-time county employees whose sole focus is to better enforce county cannabis laws. In the past quarter alone, 56,000 plants worth $7 million had been eradicated during raids with 32 new enforcement cases lined up. That doesnâ€™t count the 700,000 plants county cannabis compliance officers just â€œarrestedâ€ in three separate actions worth an estimated $20 million. (Destruction of those plants was halted by a court order obtained by criminal defense attorney Robert Sanger, who demanded due process on behalf of his clientsâ€™ property.) As for the odors, Lavagnino noted seven high-end wineries operate in the town of Gilroy, famous worldwide for its garlic festivals.